Sohiong is a wild growing fruit found in temperate Himalayan regions at altitudes between 1200 to 3000 m. It starts occurring from Kumaon hills of Indian state of upto Manipur in North East India. It is quite common in the East Khasi hills, West Khasi hills and Jaintia hills of the Indian state of Meghalaya. A medium to large evergreen tree, 15-20 m high, bark dark brown grey or greyish white, somewhat rough. Leaves lanceolate, 7.5 -15 cm long and 3-6 cm wide, crenate serrate. 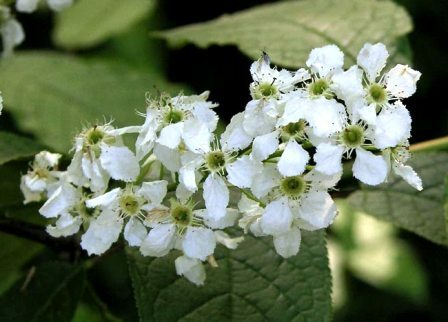 Flowers white, arranged in terminal racemes or axillary. 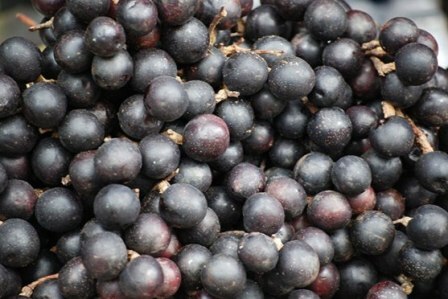 Fruit a fleshy dark purple drupe, 1.75 to 2.0 cm wide, globose, much like dark purple grapes in appearance, subacid, edible, ready for harvesting from August to October. Sohiong fruits are delicious and consumed fresh. These are also made into jam and Jelly. Not only a squash is also made from these fruits. The fruits have a high moisture content and nutritive value of 367kcal/100g and are therefore a good source of dietary calorie. 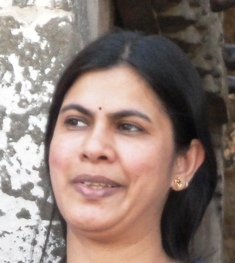 The content of crude fat and available carbohydrates is more than that of commercial fruits like apple and almonds. These are a good source of sodium, potassium and calcium with appreciable quantities of manganese, copper, iron and zinc. 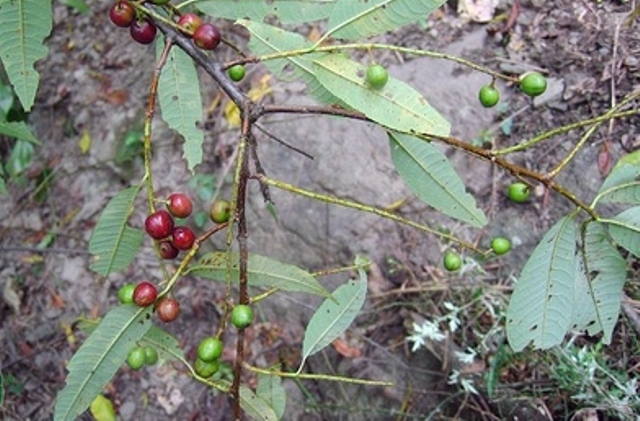 The high calorific values and mineral content of Sohiong make it an important fruit of the Khasi region. 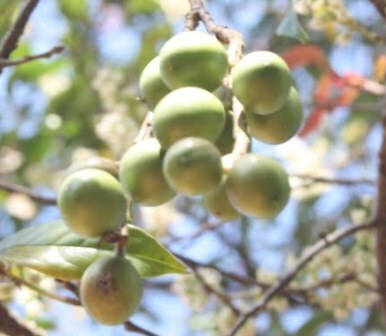 During the recent years, the use of sohiong fruits in wine industry has also been started in Meghalaya. This has boosted the economy of people of Maghalaya. The importance of the fruit in the state is recognized by organizing of the annual Sohiong festival. 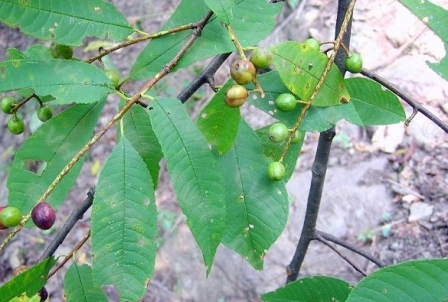 Sohiong is being grown for its fruits by local people in North East India, especially the Khasi hills region. New plants are raised from seed. The seedlings take 6-7 years in coming into bearing. The tree is now being cultivated particularly in the East Khasi hills and is making major contributions in generating revenue for farmers and employment for entrepreneurs.